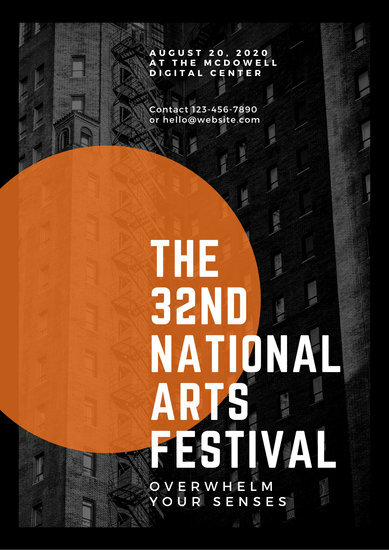 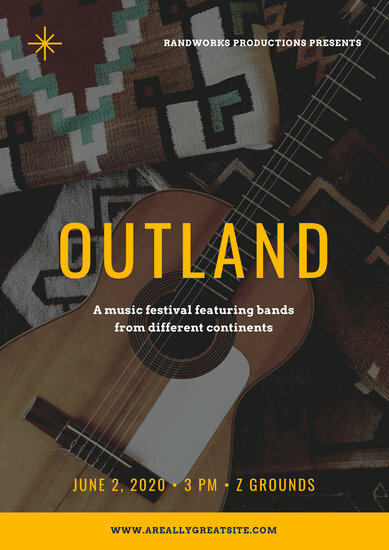 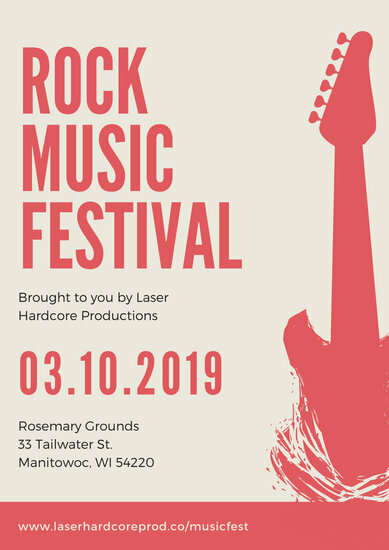 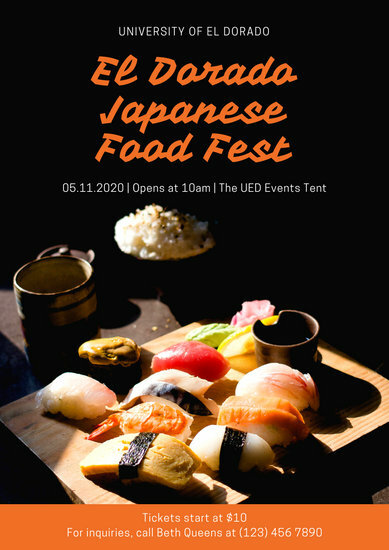 Spread the word about the upcoming festival by putting up custom posters designed from Canva's collection of templates. 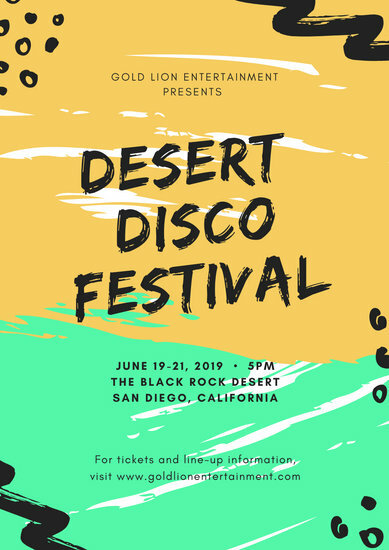 Behind every successful festival is a team of organizers who've gone all out with outstanding preparations, from the venue decor to the awesome promotional materials. 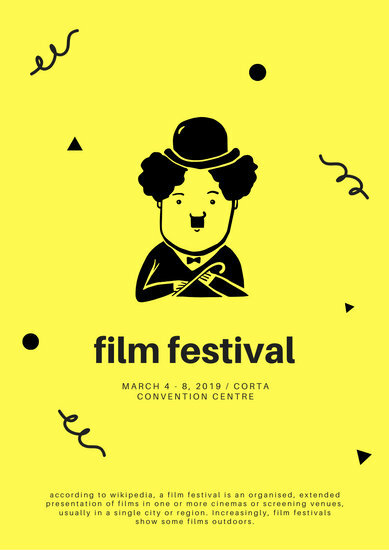 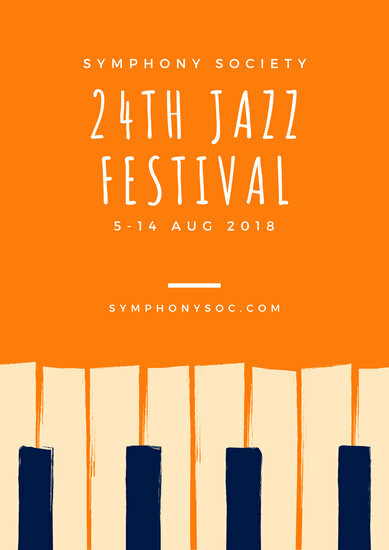 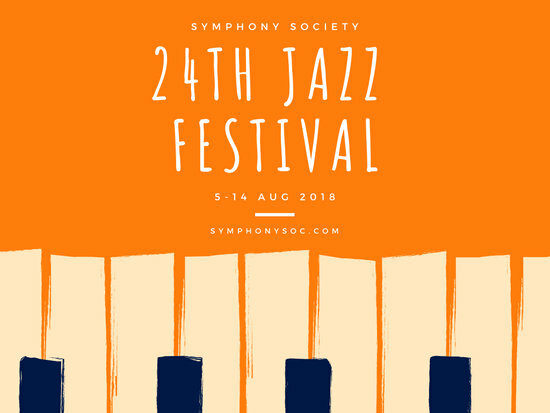 Be a dependable one-person team and create a stunning poster on your own with the help of Canva's collection of professionally designed festival poster templates! 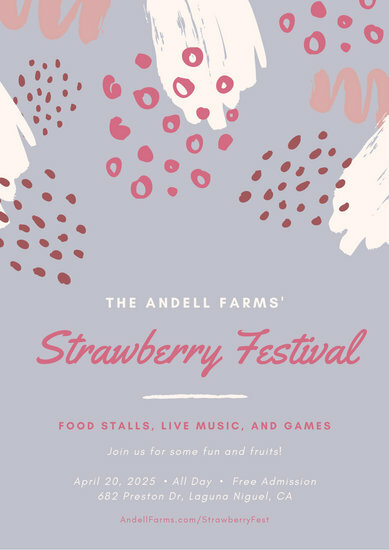 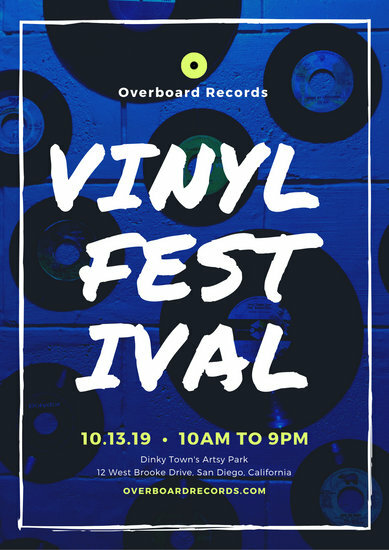 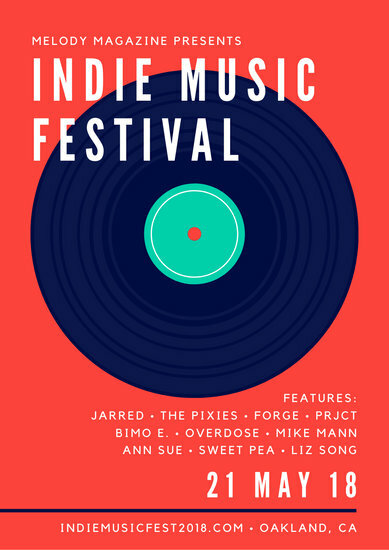 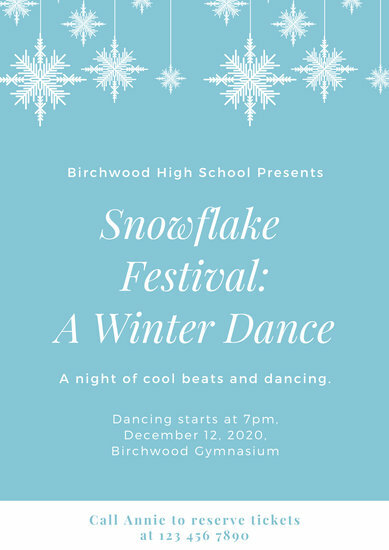 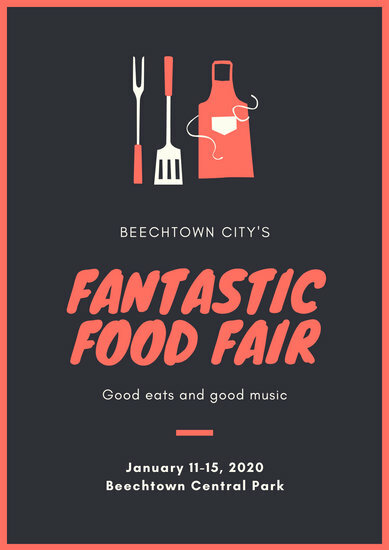 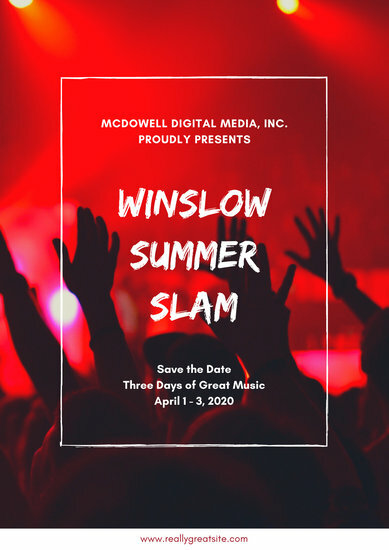 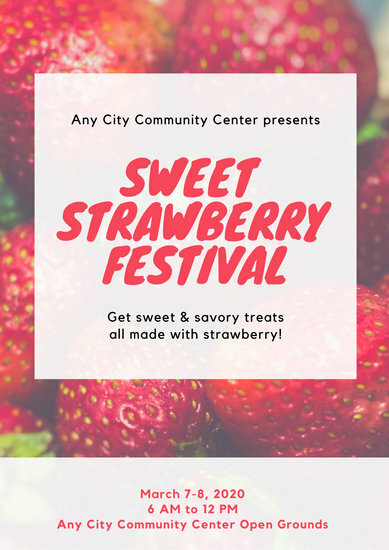 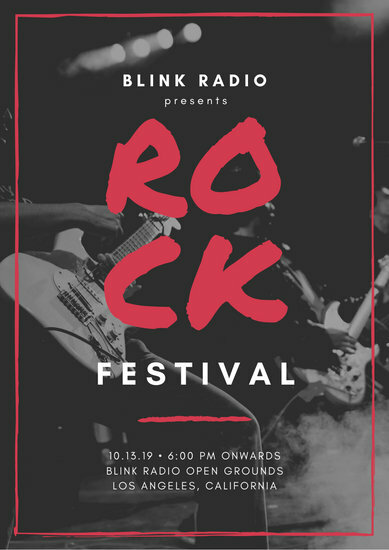 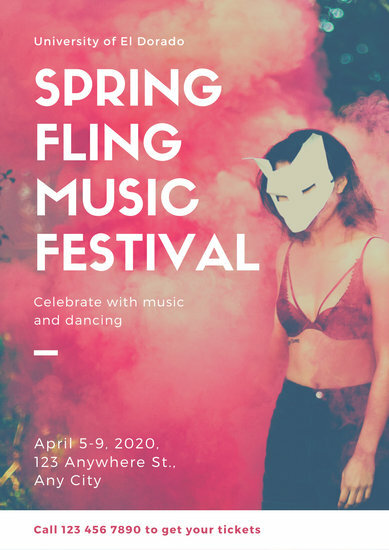 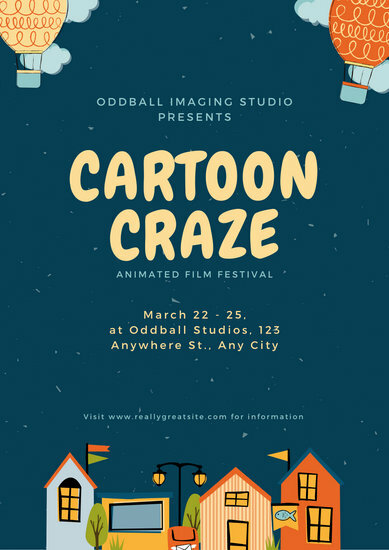 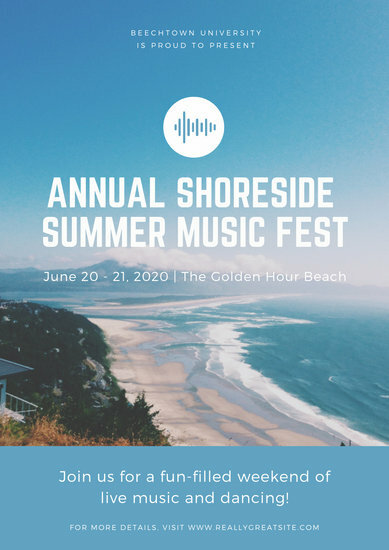 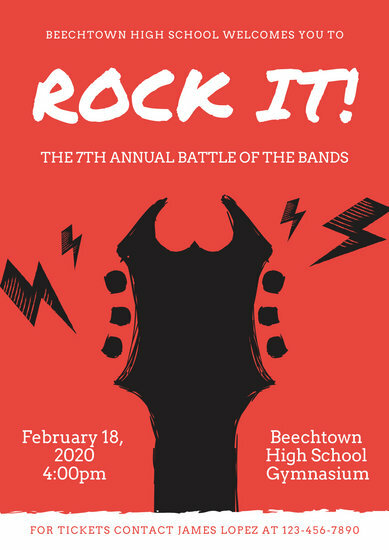 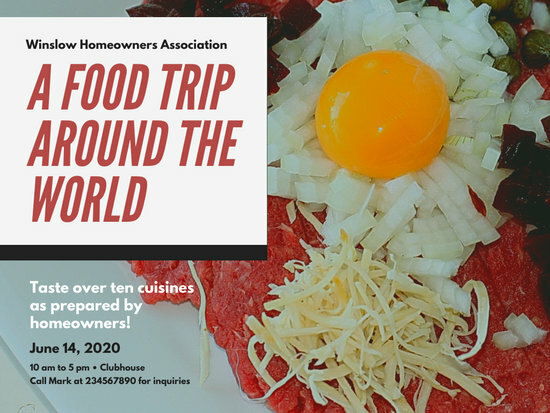 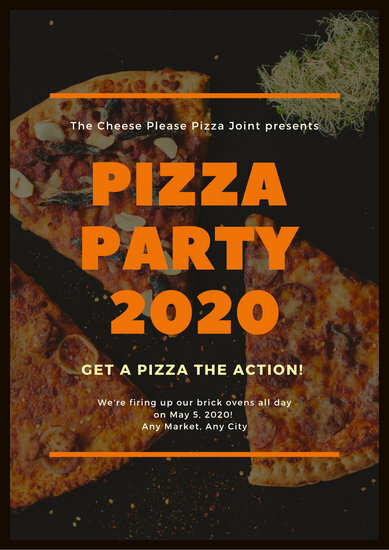 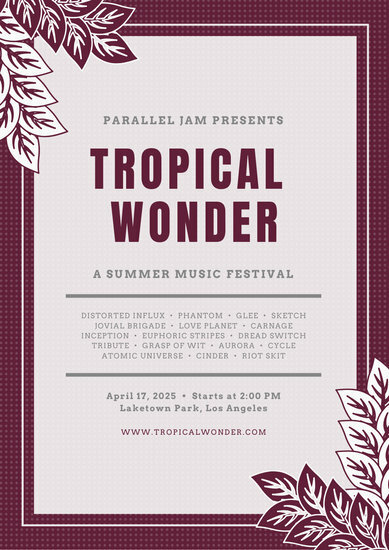 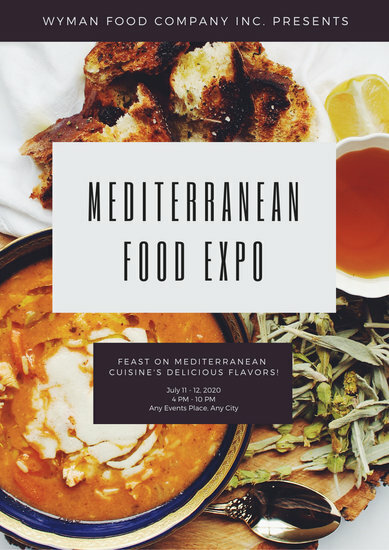 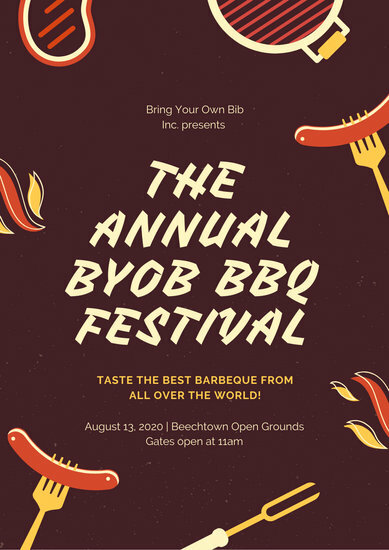 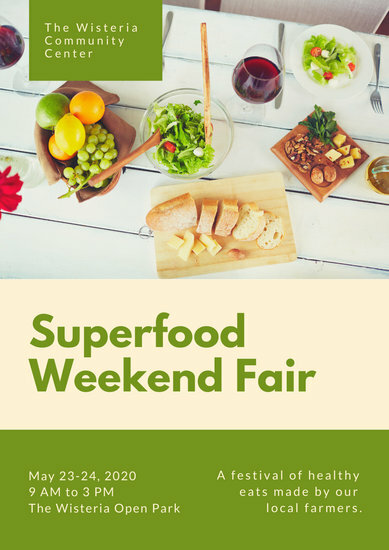 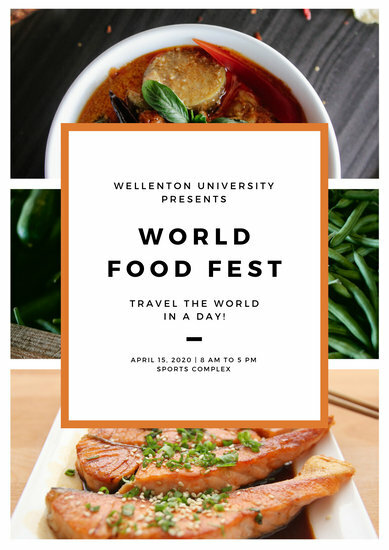 While the rest of your team fusses over the festival's program and the list of guests, relax and have fun customizing any poster design of your choice using Canva's quick and easy editing tools. 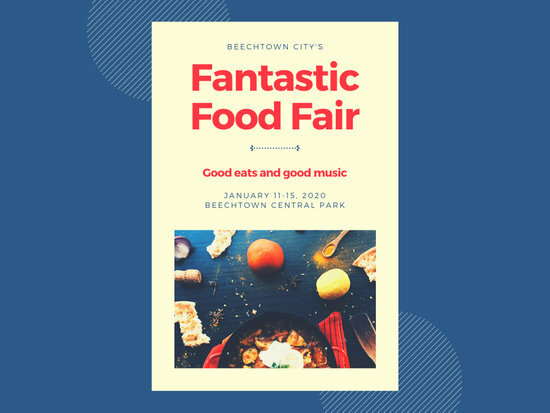 Whether your festival revolves around hip music or delectable dishes, make sure your poster stands out by picking the right colors, background, and borders that would definitely catch the interest of a large crowd. 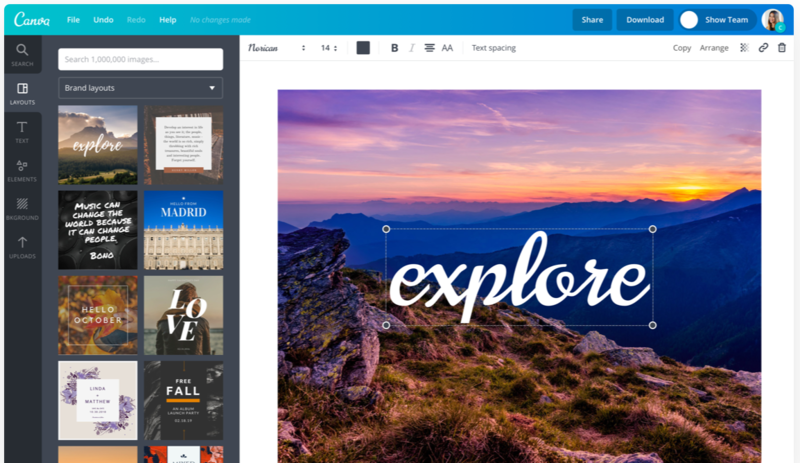 You can even upload your own photo by using Canva's drag-and-drop feature which adds a personal and unique touch to your overall design. 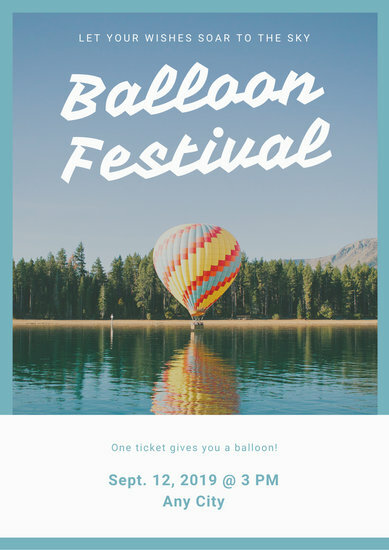 Alternately, you can choose any photo you want from Canva's image library which is chock-full of professionally shot photos that are sure to suit the design you have in mind. 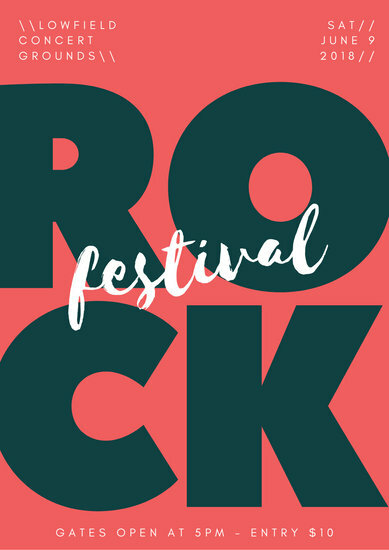 Make your festival poster truly stand out with amazing typography made possible by Canva's text tool. 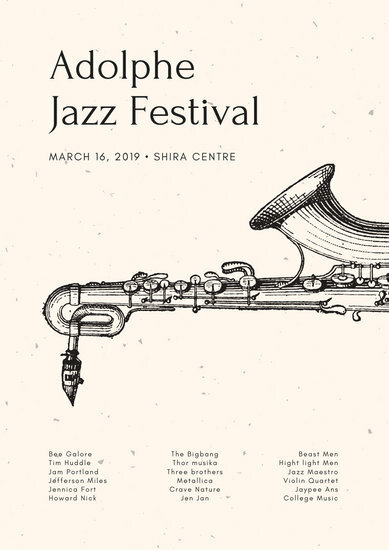 You can choose from over 100 fonts to type in details about your event. 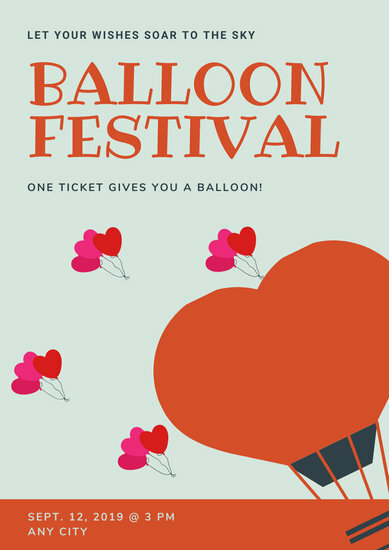 Polish your design by inserting fun stickers or shapes. 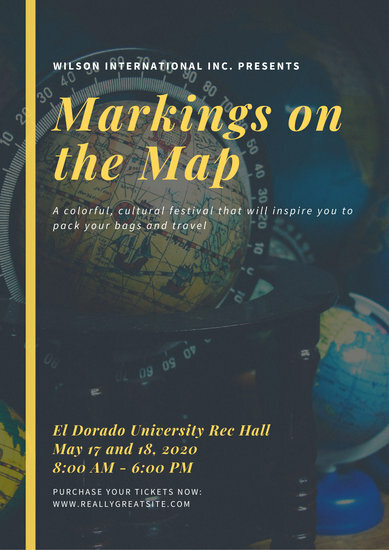 If you wish to get feedback from your co-organizers, simply send them the template link and they can easily make any necessary edits from their end. 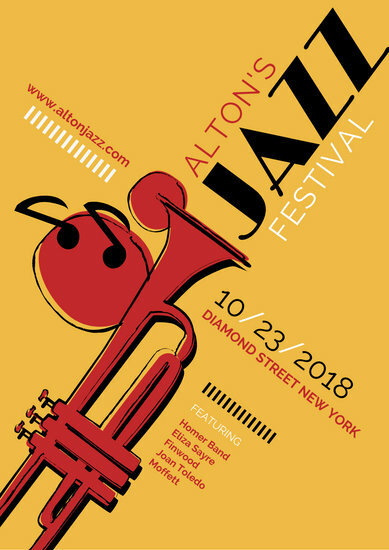 Save your work as a high-res PDF ready for printing, or as a JPG or PNG file for sharing on social media channels like Facebook and Twitter.